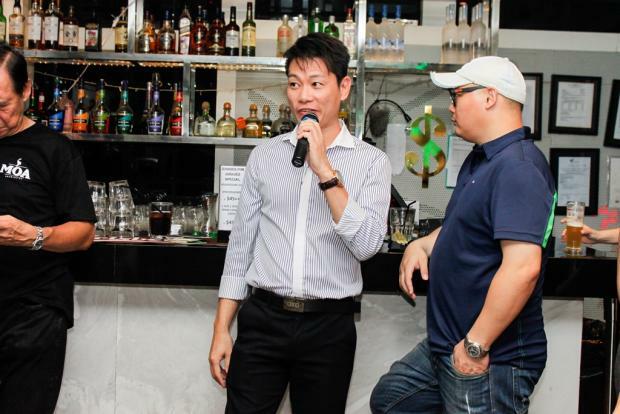 An estimated 50 multi-restaurateurs , food industry enthusiasts, and business experts flocked into Singapore Business Review's recently concluded Eminent Speakers Series: Singapore's 10 Hottest Multi-restaurateurs. Olivier Bendel of Deliciae Hospitality Movement, Anthony Wong of Creative Eateries Group, and Osvaldo Forlino of Osvaldo Group of restaurants shared their industry insights and inspiring success stories. Attendees walked away from the event with expanded knowledge of how to play wisely in the industry, thanks to the rich discussion that transpired between the panelists and other participants. The Eminent Speaker Series was held on 16 October 2013 at The Club Hotel's Ying Yang Rooftop Bar.